The Phoenix Fuel Masters decided they would hold on to a familiar spot heading into the quarterfinals. They beat the San Miguel Beermen, 96-93, to finish the elimination round with the top seed. Phoenix held on to their position with a 9-2 record. 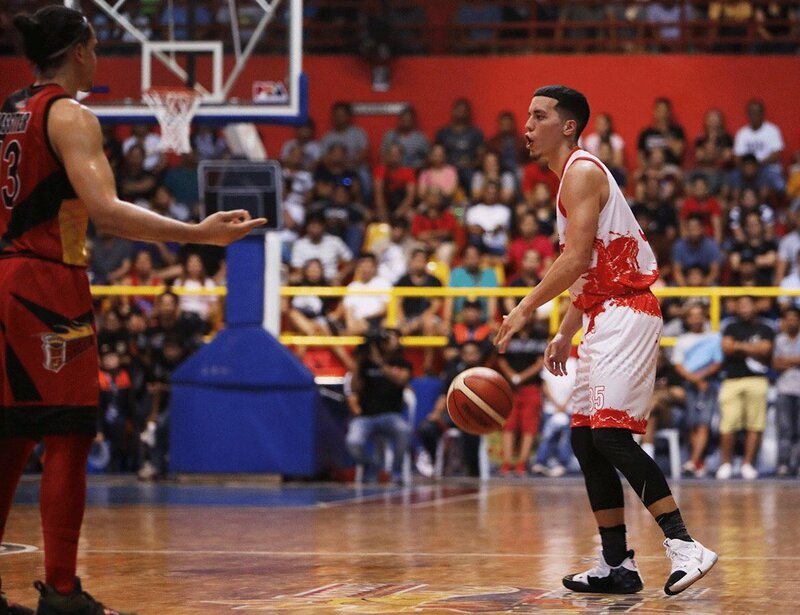 San Miguel’s four-game winning streak ended at four. They fall to fourth place with a 6-4 slate. Early in the game, it seemed like Phoenix would cruise to the win. Their offense was clicking while the Beermen had trouble engaging theirs. The Fuel Masters got a steady flow of buckets from their bench. Justin Chua, Ron Dennison, Alex Mallari and LA Revilla all came into the game and energized the offense. They pushed Phoenix ahead by 14 in the final minutes of the opening period. The Beermen refused to let Phoenix run away with the game. Chris Ross and Arwind Santos opened the second period with back-to-back treys to stop the Fuel Masters’ run. June Mar Fajardo started to assert himself in the paint to lead San Miguel back in the game. It was a tight game all the way to the final minutes. With a little over four minutes left in the game, Jason Perkins converted a tough and-one basket over June Mar Fajardo. He nailed the bonus to give Phoenix a four-point lead. They forced back-to-back turnovers leading to layups from Fajardo and Ross to tie the game heading into the final minutes. With the game on the line, Phoenix went to their franchise player. After a scramble for the loose ball, Calvin Abueva escaped the scrum and brought the ball to their attack zone. He whipped the ball to Matthew Wright on the left wing. Wright let loose a booming three-pointer to give Phoenix the lead. The Beermen couldn’t find the equalizer, allowing Perkins to seal the win with a turnaround jumper a possession later. Wright led the Fuel Masters with 25 points, five rebounds and three treys. He got help from Perkins who had 10 points and 10 rebounds. Alex Mallari added 12 points, six rebounds and six assists off the bench. Fajardo continued his monster run with 29 points and 12 rebounds shooting 81% from the field.